The Patriots are hungry for yet another Super Bowl win. The Eagles are voracious for a first such title. Everyone else in the Twin Cities will have to settle for something else. Such as a massive sandwich by master chef Ron DeSantis that will include 52 ingredients — one for each of the Super Bowls. 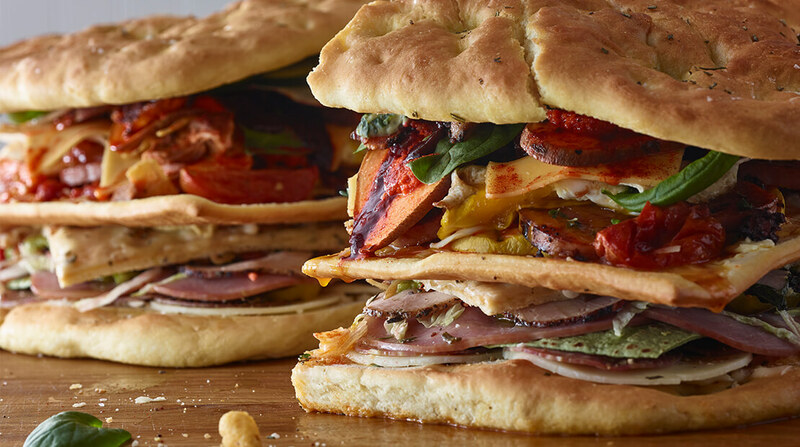 DeSantis, one of 68 certified master chefs in the United States, is working with Hormel Foods to create a sandwich 9 inches tall, 26 inches long and 18 inches wide. It takes 2 1-2 hours to make, and can feed 48. Half of the sandwich will be cold, the other half hot. “The bottom part of the sandwich has cold, the top has all hot,” he explains. “You got two sandwiches put together with a hummus that is kind of like the glue to keep together the top and bottom. The sandwich will be unveiled later in the week, with Minnesota receiver Adam Thielen and maybe other NFL players dropping by the Mall of America to take a bite on Thursday.